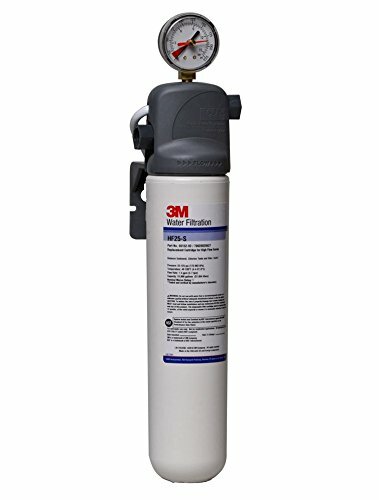 3M Water Filtration Products Model ICE125-S single cartridge water filtration system helps provide consistent high quality water for commercial ice machines by reducing the effects of sediment and chlorine taste and odor at flow rates up to 1.5 gpm (5.7 lpm). Built-in scale inhibition reduces the ability of calcium and magnesium to precipitate on the evaporator plates as hard scale. If you have any questions about this product by 3M Water Filtration Products, contact us by completing and submitting the form below. If you are looking for a specif part number, please include it with your message.